﻿ New Coinbase cryptocurrencies | What can we expect from this? We have some pretty big news coming from Coinbase these days, and we think they’re really worthy of a separate article. Now, as you probably know, Coinbase is one of the most famous cryptocurrency exchanges today, with countless traders investing on their website every day. 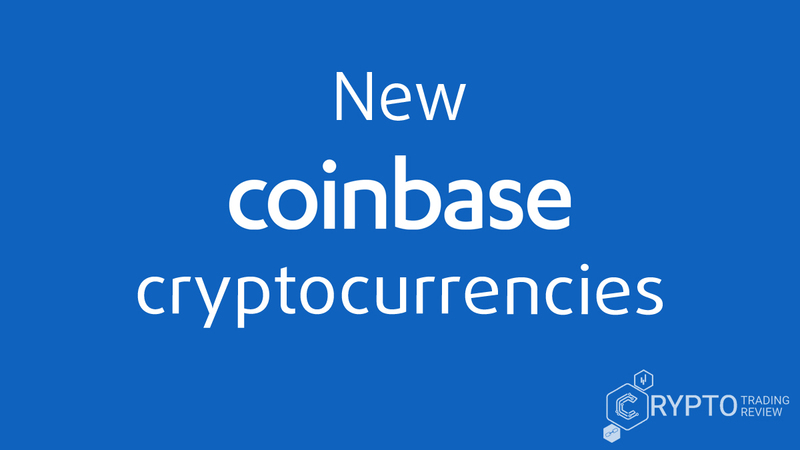 Recently, it was made clear that the company is planning to make some big additions to its offer, so we went on to see which new Coinbase cryptocurrencies we can expect there in the future. However, this is not the only piece of news concerning this exchange. 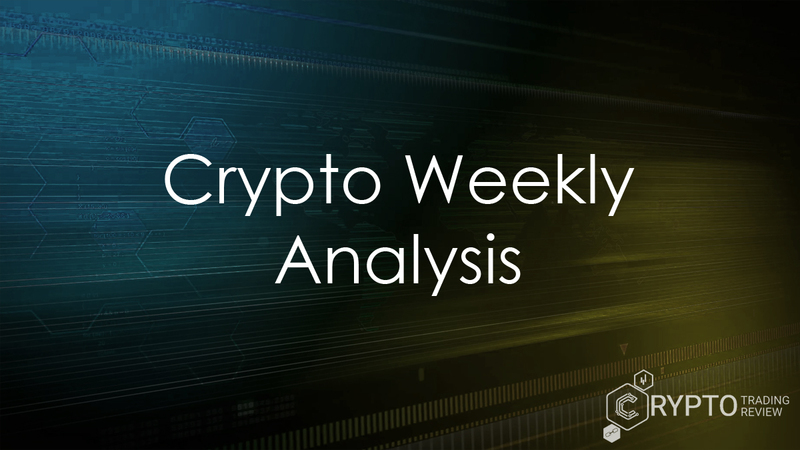 There are other things that need to be mentioned too, and we are sure they will have quite an impact on the cryptocurrency market as a whole. Read on to see what we mean. Which new Coinbase cryptocurrencies are coming? 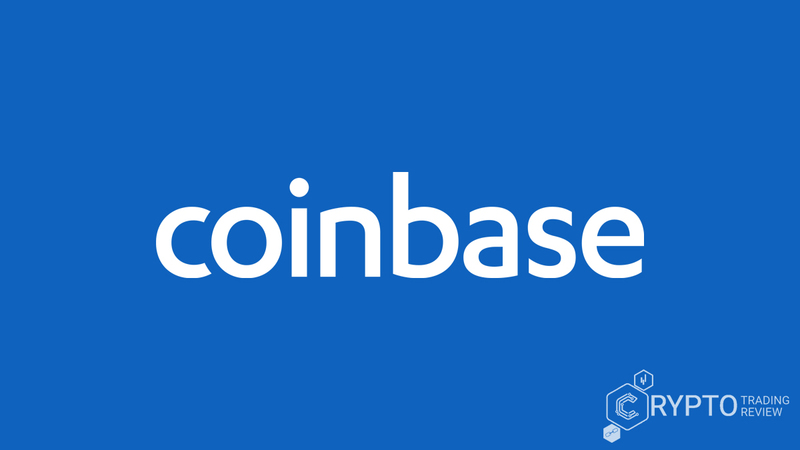 On July 13, it was made public via this company’s blog post that Coinbase is considering adding several new cryptocurrencies to its offer. 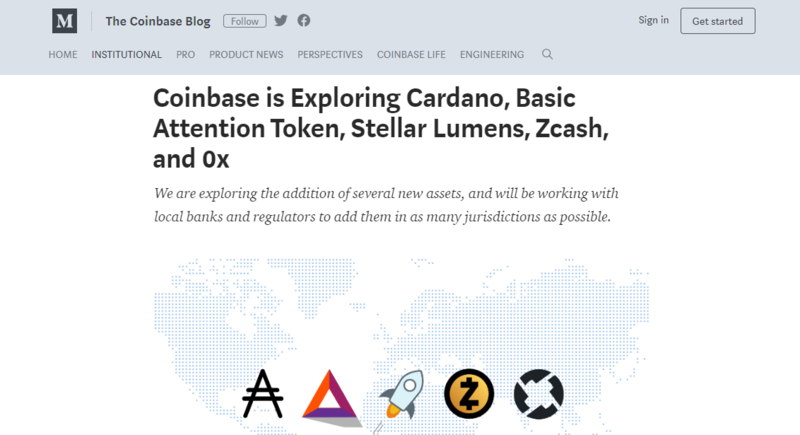 The list of these potential new Coinbase cryptocurrencies includes Zcash, Stellar Lumens, 0x, Basic Attention Token and Cardano. Add to that the fact that the addition of Ethereum Classic was announced in June, and you get quite a prolific month when it comes to news for this exchange. However, this is all still very far from certain. In the post, the company states that it is still only “exploring” the possibilities of adding these coins to the line-up and that no definitive deals have been made. It would also appear that some of these assets will only be available for selling and buying, not for sending around, and not all jurisdictions in which Coinbase is present may be able to accept them. For example, it seems certain that some of these coins will be offered in other countries before they are able to be listed in the United States. We should also mention that Brian Armstrong, the company’s CEO, unveiled his new charity at the end of June. It is called GiveCrypto.org and is meant to “financially empower” people through the use of virtual currencies. So far, the have raised over 3.5 million USD. Certainly, this is a very commendable effort, but now let’s get to the other big piece of news. Apart from potential new Coinbase cryptocurrencies, we also have to address the company’s moves in the Far East. You see, the exchange is planning on expanding its business into Japan, since this country is actually pretty hot in the cryptocurrency world right now. We said earlier that these guys operate in numerous jurisdictions (33, to be exact), but when it comes to Asia, they are only present in Singapore. This is why this move to Japan is so important – it is a rare opportunity to expand on the Asian market. They are certainly not the only ones considering this move, though, since Coinsquare has joined up with an investment bank with the very same purpose. At the same time, exchanges from the East (primarily China and Japan) are extending their offers to the United States, primarily California, but with other states soon to follow suit. All of this is showing that this is certainly an exciting time for cryptocurrencies because they are becoming a truly global phenomenon and an industry able to reach literally any place on Earth. It is a major step towards this kind of trading becoming something mainstream and, if we can call it that, normal in our everyday lives. Because of moves like these, the future of the whole industry seems very bright indeed. So, in the end, we are happy to conclude that it’s been quite an active few weeks for this big and popular cryptocurrency exchange. Not only can we hope for quite a lot of new Coinbase cryptocurrencies, but the company is also making some serious moves in order to become present on the Japanese market. However, when it comes to the new coins, we will still have to be patient because while the list has been made public, these are all still just considerations. It is quite possible that not all virtual currencies will make it to the platform, plus there may be some differences when it comes to their availability in different countries, since this company is present pretty much all over the world. Nevertheless, it is an exciting time to be a cryptocurrency trader, particularly if you’re trading with Coinbase, so if you don’t have an account with them yet hurry up and create one. You won’t regret it.